It is often said that real estate is a people business. Whether you are a broker or an investor, it is incredibly beneficial to have effective communication skills, ability to establish rapport and trust with other people, and have an extensive network of clients and colleagues. But if real estate is a “people business”, then real estate development is the ultimate people business. A successful developer needs to maintain and manage a large and diverse network of professionals, including their internal team, architects, contractors, lawyers, lenders, local government officials, neighborhood associations, current and potential tenants, and others. This, of course in addition to understanding the “nuts and bolts” of the development process, such as being able to understand feasibility, relevant laws, and regulations, financing, construction, leasing, and marketing. While most of this book is dedicated to this “nuts and bolts” side of development, we want to emphasize that the “people” aspect is equally important. 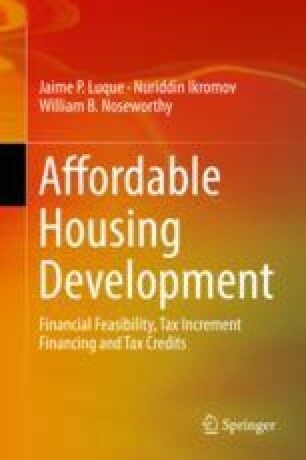 To that end, this chapter focuses on the nuances of affordable housing development that are typically not described in textbooks and are customarily learned through years of experience.